Come join us in celebrating MSAD's new dormitory building! 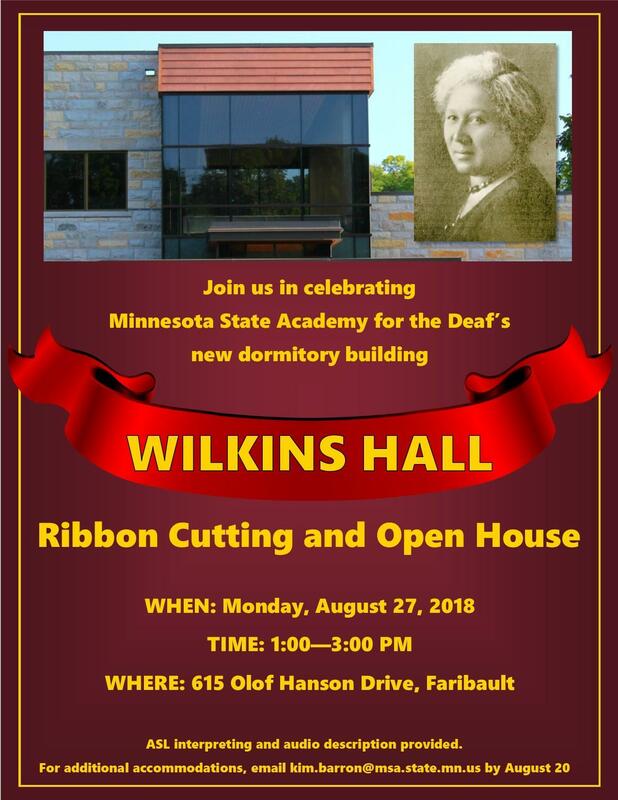 Come join us at our ribbon cutting and open house for our new dormitory building, Wilkins Hall! (Image description: a flyer announcing the open house event. On top, there is a close-up picture of the front entrance windows of Wilkins Hall. Embedded in the picture is a photograph of Blanche Wilkins Williams. ASL interpreting and audio description provided.